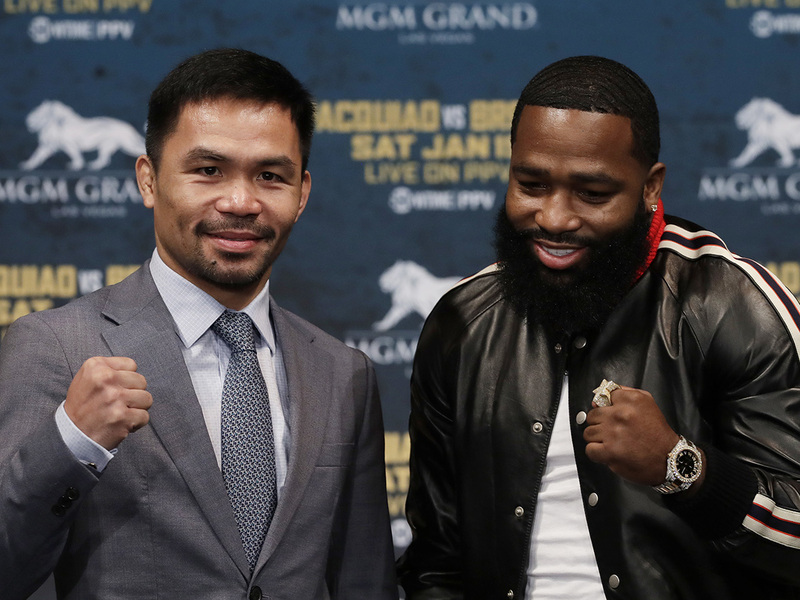 New York: Filipino veteran Manny Pacquiao confirmed Monday he will defend his WBA world welterweight crown against Adrien Broner in Las Vegas on January 19, ending a two-year absence from the ring in the United States. Pacquiao holds the World Boxing Association’s regular welterweight crown, a step below US unbeaten WBA ‘super champion’ Keith Thurman, after stopping Argentina’s Lucas Matthysse in July at Kuala Lumpur. Last month, Pacquiao signed with adviser Al Haymon’s Premier Boxing Champions group after being promoted by Top Rank’s Bob Arum, Haymon’s main rival, for the past 14 years. The move ensures Pacquiao will have chances to fight the best in the welterweight division as Haymon’s fighters include Americans Thurman, 28-0 with 22 knockouts; World Boxing Council champion Shawn Porter 29-2 with one drawn and 17 knockouts and International Boxing Federation champion Errol Spence Jr., 24-0 with 21 knockouts.